Known as the industrial capital of Poland, guide books chime to skip out on Warsaw and head directly to other towns. This is great advice because it means that the majority of tourists do not come to spoil the relaxed, down-to-earth atmosphere characteristic of this city. While there are numerous large companies and shopping centers, there are also many parks, a thriving riverfront with an artificial beach, student neighborhoods and the up-and-coming Praga district. 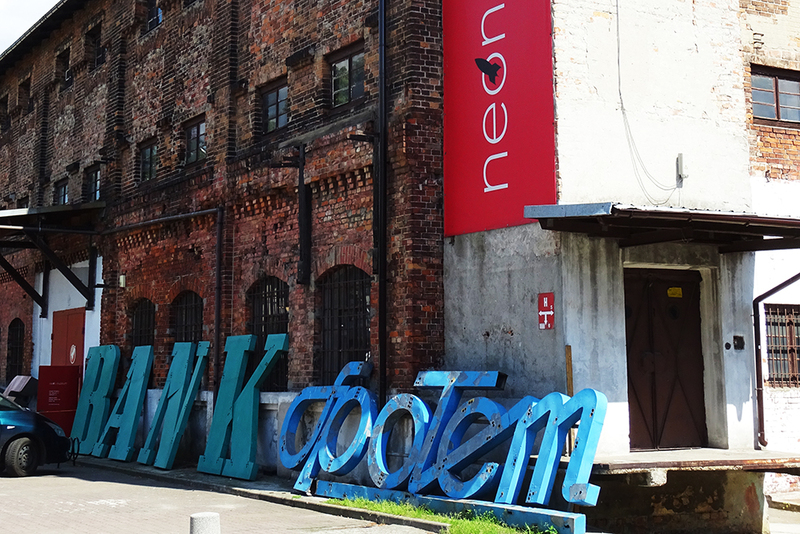 On the “other side” of the Vistula River is Warsaw’s funky bohemian district. 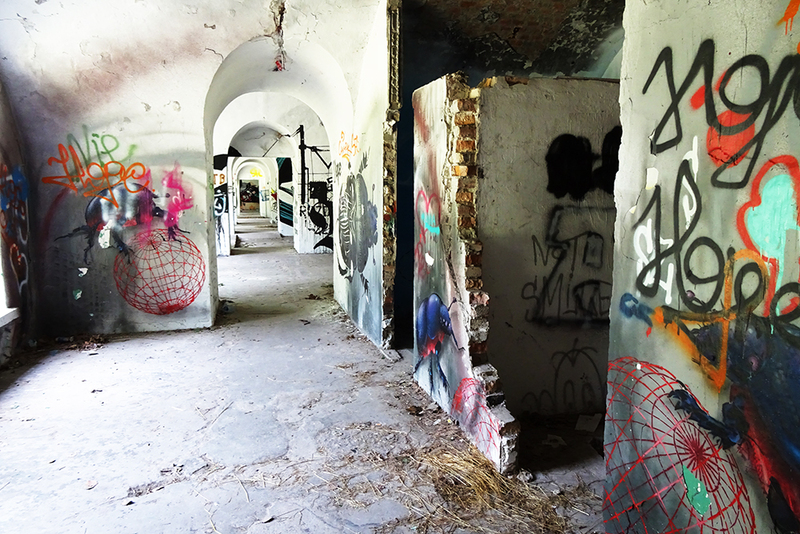 This gritty neighborhood was referred to as the “Bermuda Triangle” of Warsaw until musicians and artists moved into abandoned warehouses and factories. Now, there’s a net of quirky bars and avant-garde cultural events against a backdrop of communist buildings. Check out the boutique design complex (complete with the one and only Neon Museum) at Soho Factory, then take a long stroll and lakeside nap at Skaryszewski Park. After dropping by some underground art galleries and browsing the one-of-a-kind stores at Koneser (former Vodka distillery), finish up the night at Skład Butelek (the “bottle factory” bar housed in a 1913 rubber factory) or Fabryka Trzciny (former marmalade factory, current art center with epic music shows and legendary cocktails). Don’t be afraid to wander around and poke your head into obscure alleyways, for that’s where most of this neighborhood’s treasures are found. If the idea of independent movie screenings and secret wine bars don’t come to mind when you think of Serbia’s capital, you clearly haven’t been to Savamala yet. With a high concentration of checkered bow ties, artsy cafes and hipster bookstores, this neighborhood shines amid the exhaust fumes that blackened it decades ago. Spurred by the opening of KC Grad, an independent art center, and Mikser House, Belgrade’s hippest nightclub, Savamala has grown to include more than just music. There’s literary centers and Nova Iskra, a meeting space for start-up companies. Sip and chat at one of the contemporary restaurants at Beton Hala (the “Concrete Hall” that lines the portside promenade), then check out the latest installation at G12Hub on the bustling Karadordeva Street. 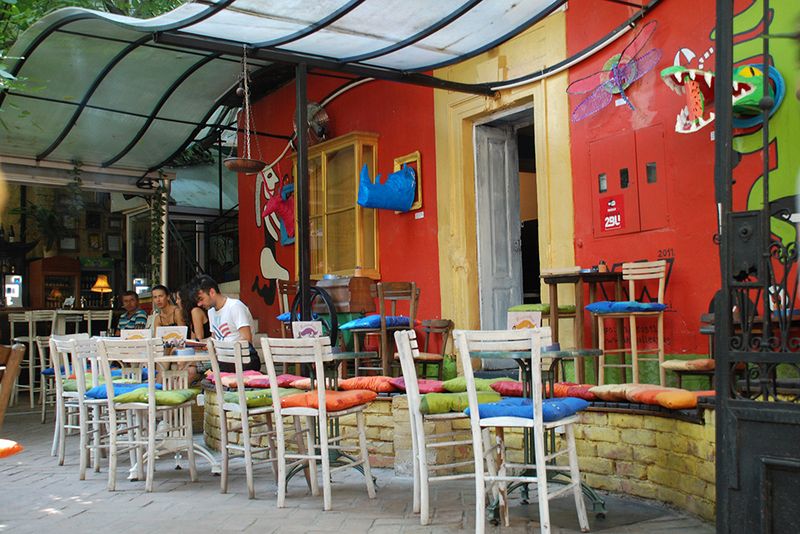 For a greener vibe, take a short side trip to Skadarlinja, Belgrade’s former hedonist quarter with plenty of flower pots and kafane (cafés that served as meeting points for artists and poets in the 19th– and 20th-century). There’s also plenty of street art to admire and ponder about. The graffiti work usually comments on the city’s issues, such as pollution or poverty. 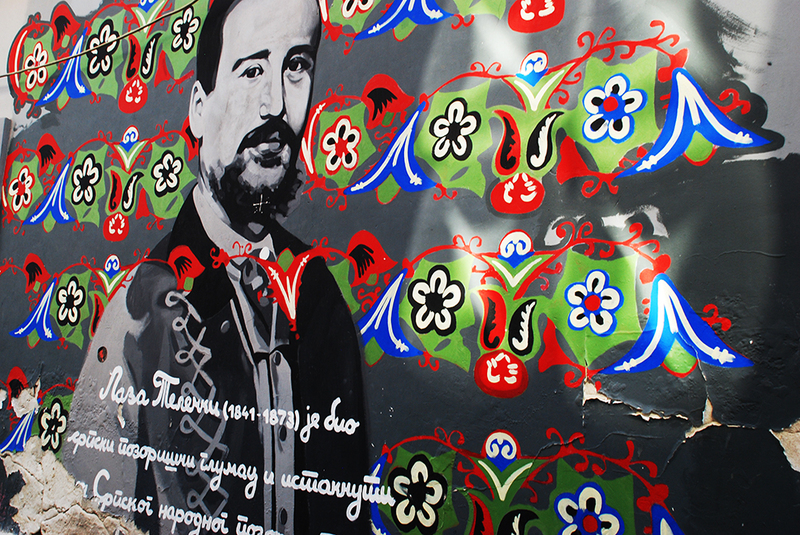 Tijana Tripkovic and Barabara Dimic’s “Ghost People of Savamala” is a street art project that documents the lives of the neighborhood’s native people through changing times. Rough and bleak, Belfast certainly sees its share of rain. However, when the sun comes out, the rainbows are more colorful than anywhere. Regardless of the weather, dynamic designs and alternative hang-out nooks add an intellectually cozy atmosphere to the buzzing Cathedral District. 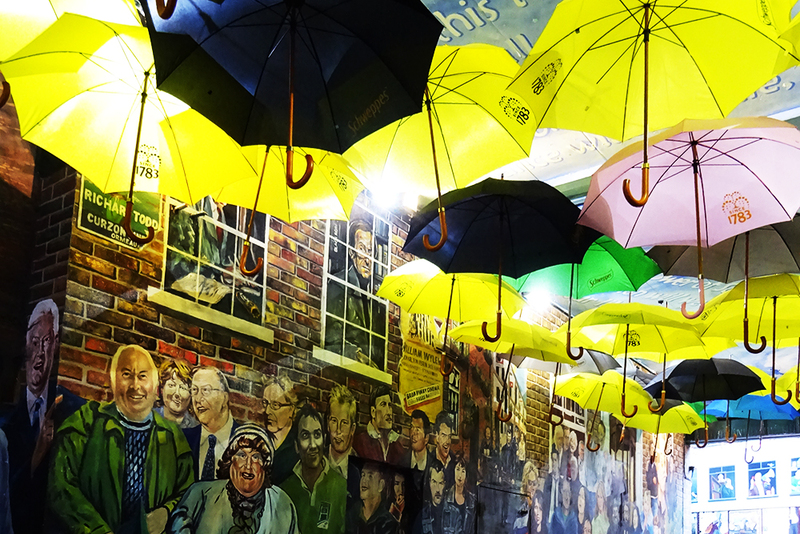 Belfast’s old trade and warehouse district has recently turned into a hipster haven for both locals and tourists. True to Northern Ireland’s loud music culture (Van Morrison, the Undertones, Snow Patrol), Oh Yeah Music Center is located in a former whiskey warehouse and offers to shortage of live shows. 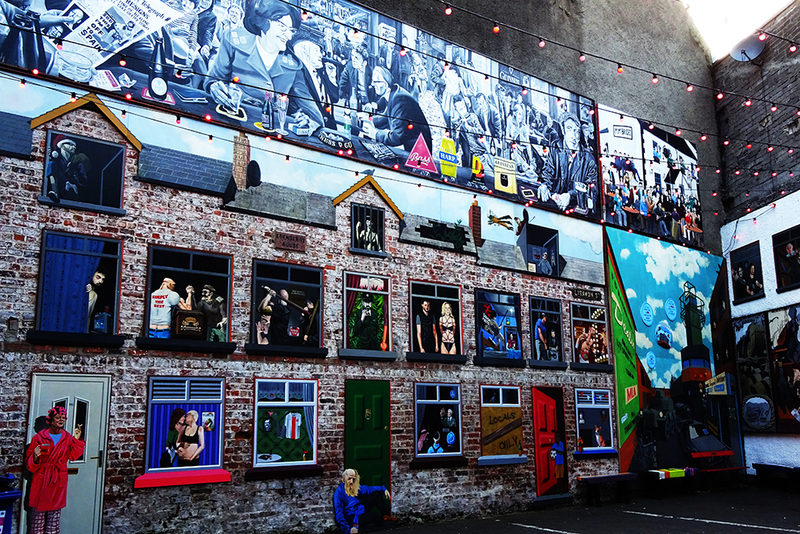 The Black Box, a performance arts center, hosts everything from cabaret to poetry readings, while Belfast’s MAC has enough art galleries, displays, shows, munchies, and events to take up an entire day. Grab a craft beer at The Hudson Bar, combine traditional music with modern décor at The Dirty Onion, and get in touch with your eclectic side at The Spaniard. In the center of it all is St. Anne’s square, with its assortment of chic restaurants and outdoor performances in the summer. Take a hop into the city center to visit Studio Souk, an outlet for local artists with design continuing into the café attached on its bottom floor. Much more than walking tours and famous monuments, this trio of underrated places offer traveling millennials the chance to mingle with locals and discover the true nature of a city’s soul. These pockets bustling with life are best enjoyed now, while they are still young, writing their identity and not crowded with souvenir stores. Join the freethinkers in creative quarters, learn about independent culture, and keep the secret to yourself. 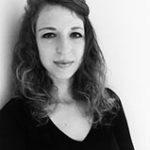 All photos by Julia Zaremba.